On Saturday I got the chance to play in a Level One game of 4e Dungeons & Dragons. As always I like to play an interesting character, well as interesting as I could make it. Shardmind was my first race to consider. So, being the friendly person I am I asked twitter what they thought. Needless to say I got some interesting remarks. The Angry DM was the best and he put me straight, in his usual manor. I thank him for that. Shardmind was out and so was a Paladin. I needed something More. Cutting a short story shorter. I’d always wanted to play a Kenku. An Avian race. Once I had decided on this I needed its class. 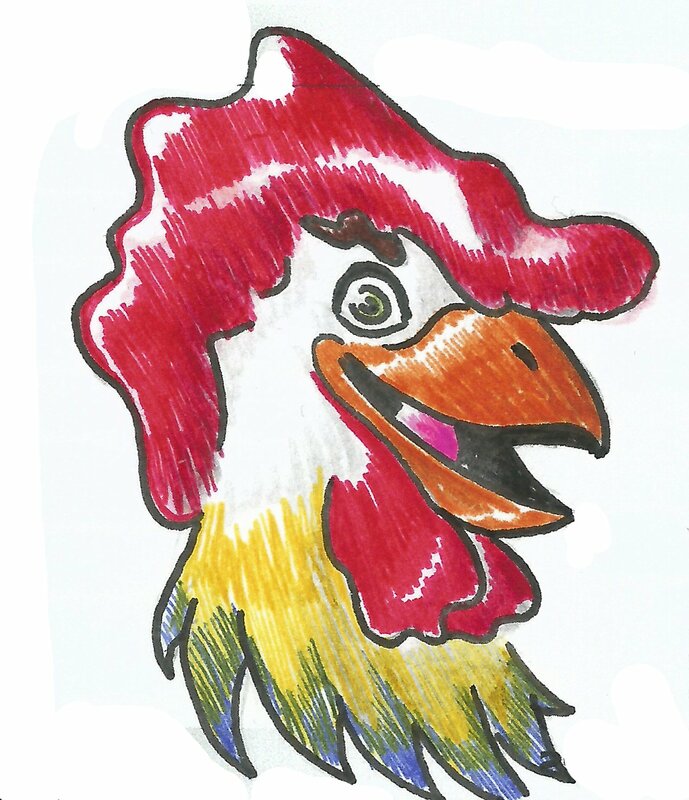 For some unknown reason the Rooster from Disney’s Robin hood cartoon came to mind, so that’s what I ran with. A chicken, Bard. How perfect this was going to be.